Route diagram of the 9.6km Thessaloniki metro system (in red), with future extensions (other colors). 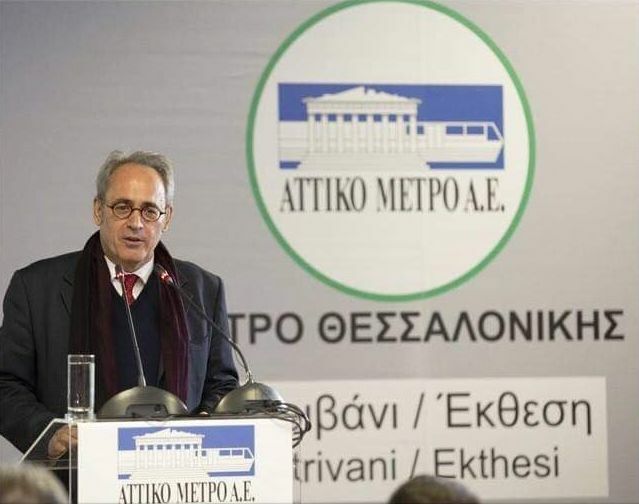 The Thessaloniki metro system, complete with 13 modern center platform stations and state-of-the-art trains that will be run without drivers, is expected to be fully operational in 2020, according to the chairman of Attiko Metro, Yiannis Mylopoulos. Speaking to the Athens News Agency (ANA) on Saturday, during an event held to mark the first completed station of the Thessaloniki metro – the ‘Sintrivani-Ekthesi’ station – Mylopoulos said that 2019 would be a crucial year for the completion of the system as the trains will be delivered and the first test runs will take place in the summer. Mylopoulos underlined that the entire system should be ready for use and commercially operating by Christmas in 2020. 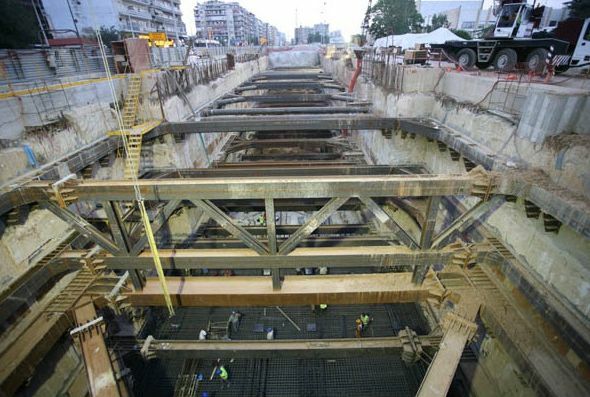 Construction on the 1.5-billion-euro Thessaloniki metro began in 2006 but came to a halt due to archaeological discoveries. The project, which is 75 percent financed by the European Union, was originally expected to be completed in 2016. According to Attiko Metro, the Thessaloniki metro system will include state-of-the-art technology and the most demanding standards concerning both quality and operation, rendering it the most modern metro system in all of Europe. The basic characteristics of the Thessaloniki metro network include a depot in the Pylea Region (Votsi) covering a surface of 50,000 square meters; 13 modern center platform stations (extending from the New Railway Station to Nea Elvetia); 9.5 km of Line; 18 ultra-automatic and state-of-the-art trains, fully air-conditioned, which will run without train drivers, with an attendant aboard the train; and systems of platform screen doors (PSD) on the platforms for each station, for providing optimal services and maximum safety to passengers. Attiko Metro’s chairman noted that the event to mark the completion of one of the stations on the system’s main line (Sintrivani-Ekthesi) was held in order to serve as a “reference station” for the citizens of Thessaloniki. 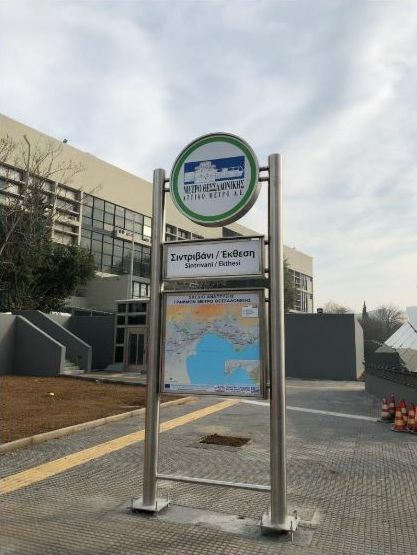 “For it to be a station where any Thessaloniki citizen of this country can see exactly what the metro stations will look like in two years time,” Mylopoulos told ANA. 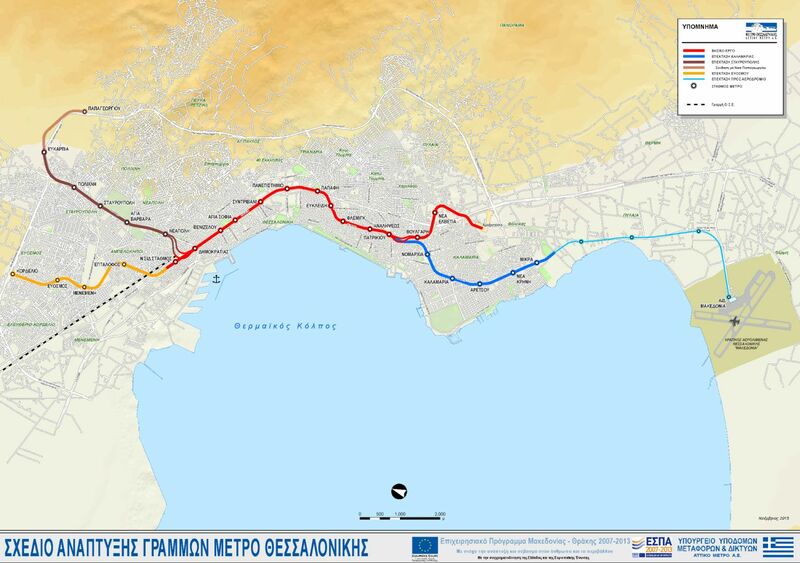 Beyond the line extending from the New Railway Station to Nea Elvetia (9.6km long), the general planning of the Thessaloniki metro provides for a series of extensions, including one towards Kalamaria up to Mikra Station.